They say that working in sales is probably one of the most exciting jobs ever. Do you want to feel that adrenaline rush? Well, sales campaigns will do that to you. Nowadays, most companies have sales teams of their own. 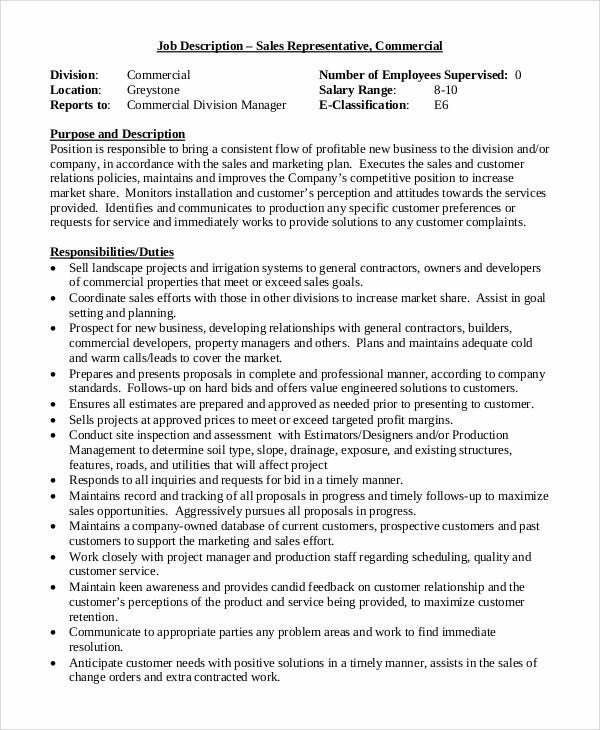 You may also see job description samples. 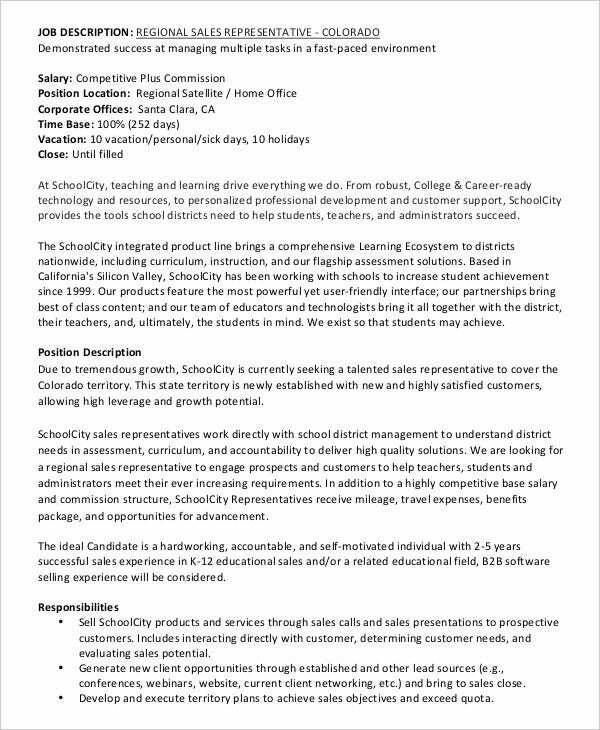 Do you have a vacancy in your sales team? In that case, you need to start advertising it as soon as possible. One way of doing that is to ensure you get a great job description. That is exactly where these Job description samples come in handy. Each sales team of a company needs a sales representative who would speak up when the need arises. 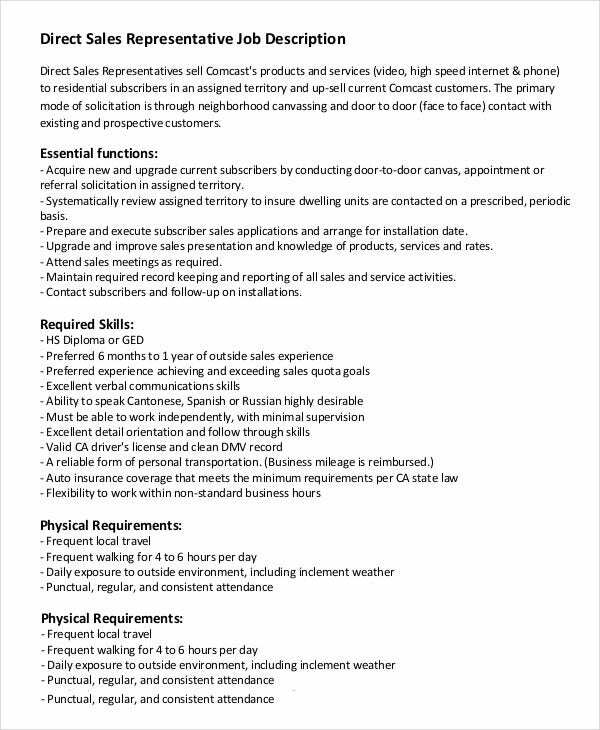 Now if you were to advertise for the post of a sales representative, you could do so with the help of the template here. Sales and marketing require employees out in the field. To advertise a post as complicated and challenging as this, you will need to take a look at the template here. Also, it is easy to use. Go through the format presented in the templates properly. The formats here have been designed by the professionals and this is the accurate pattern which must be adhered to. 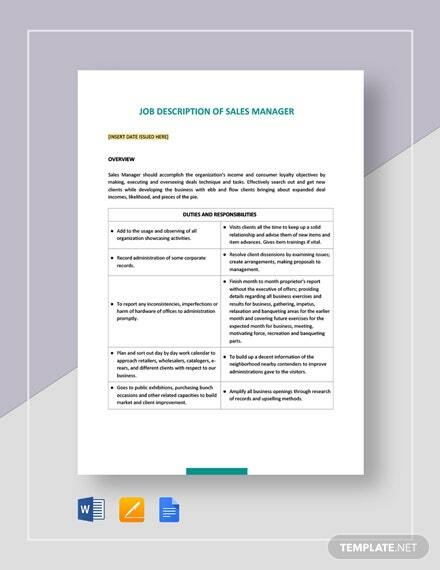 You can also see Sales Manager Job Description Templates. Do have a solid plan templates in place before you take the plunge. 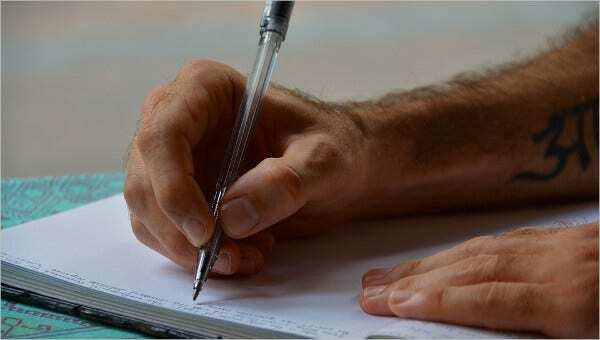 You must not only have the format but also the information handy with you beforehand. Each sales team is presided over by a vice president. 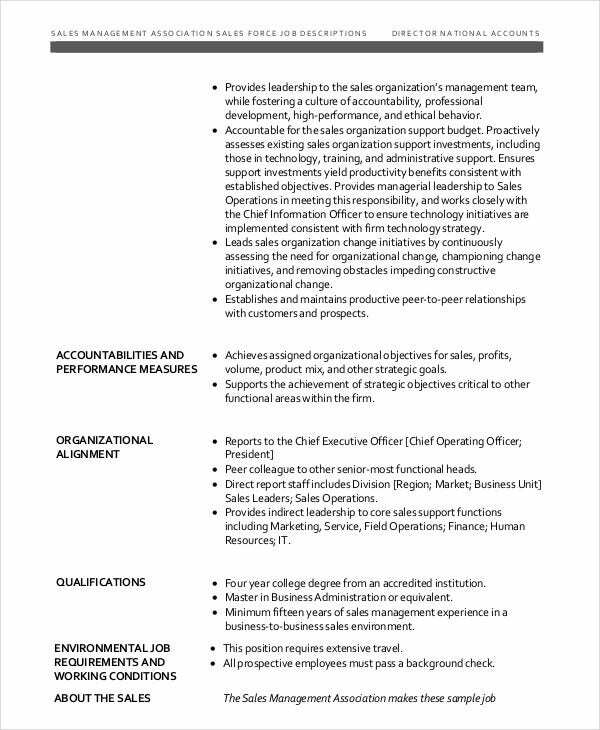 Is this post in your team vacant? Then you need to fill it in now. You can do so with the help of the template found in this section here. Digital sales, like digital marketing, is a brand new field that has only recently experienced a boom. 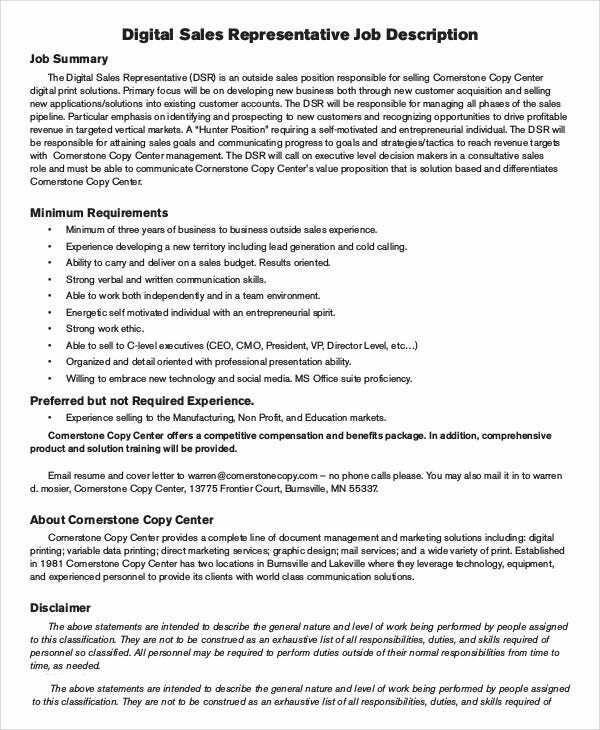 If you want to create a job description for such a post, you can do so with the help of this Sales Representative Job Description Template here. 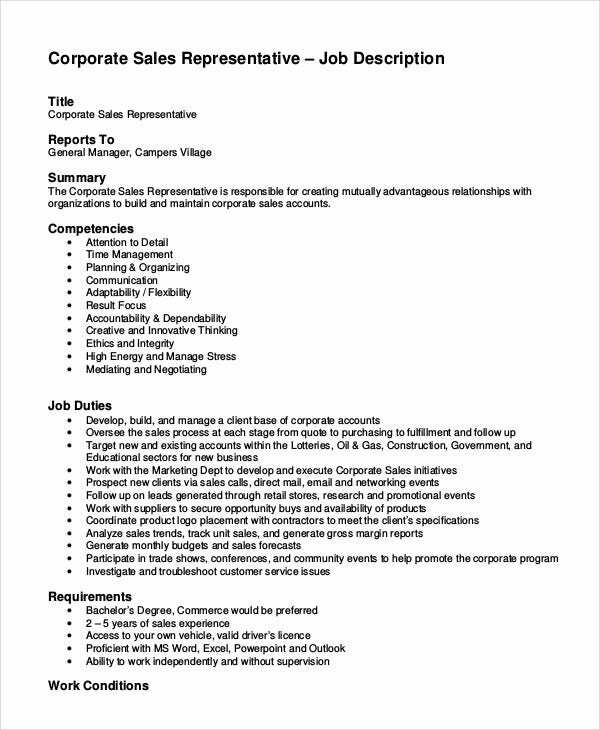 This template here is perfectly suited for the post of a sales manager. 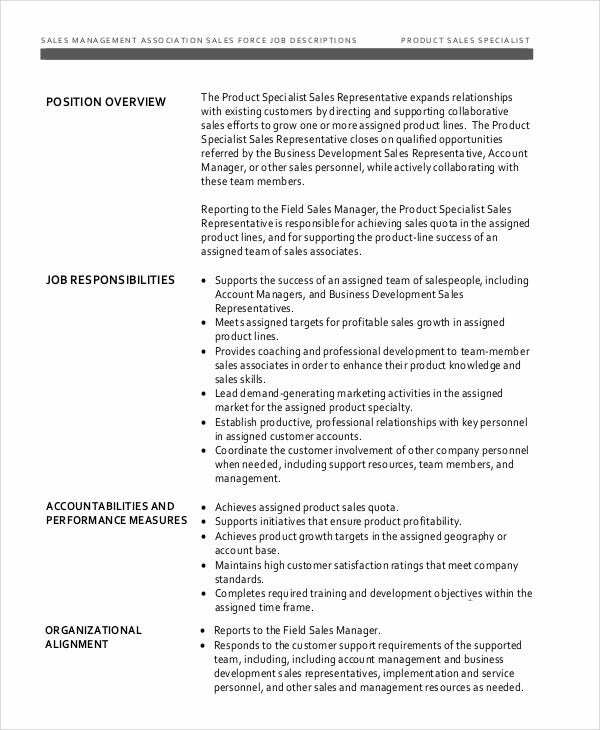 The job of a sales manager is pretty tough. 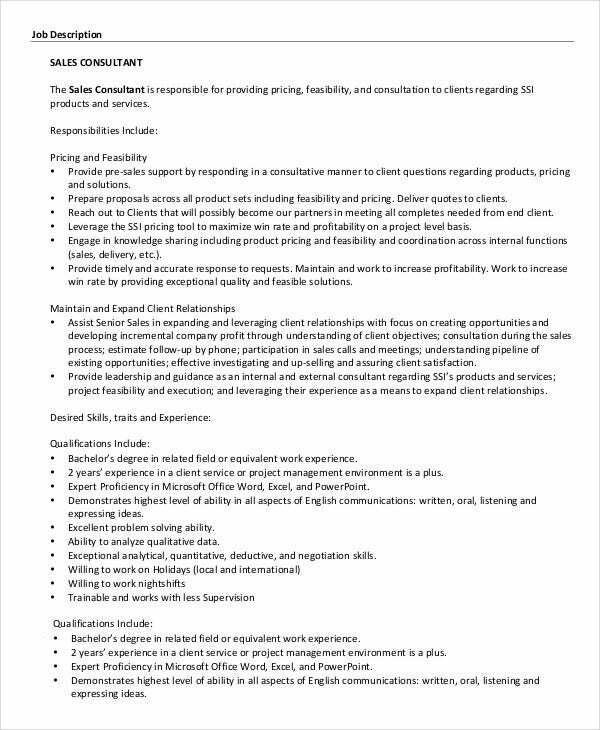 You can advertise it with the help of this well designed and extremely professional sales manager job description template. 2. 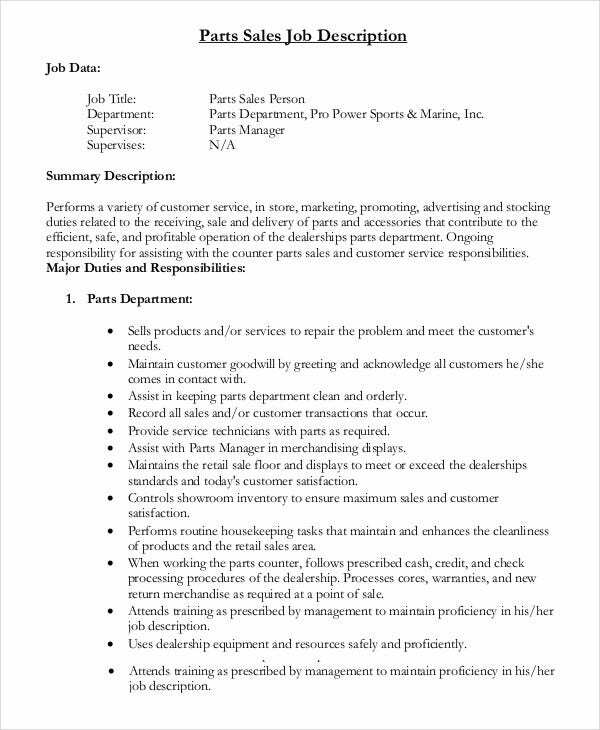 How to use the Sales Job Description Templates? 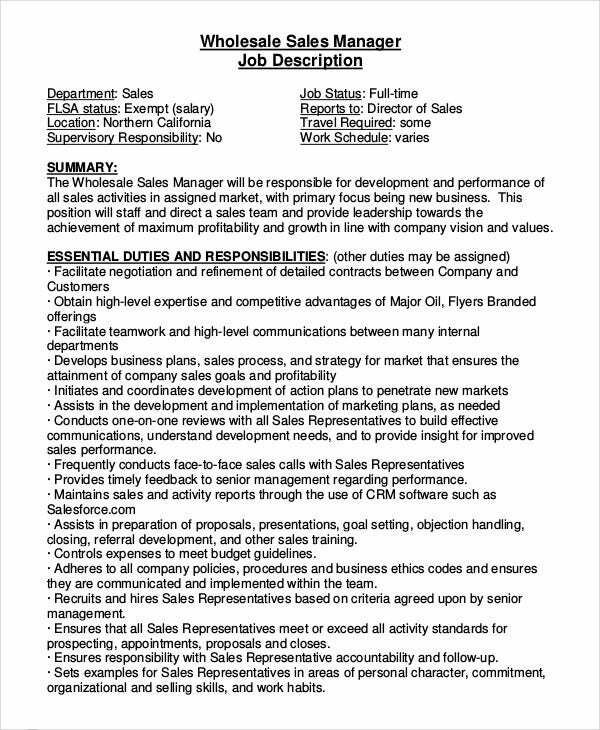 The sales job description templates that you see in this section are pretty easy to use. The templates, as you will see for yourself, contain a fixed format. Now that is the universally accepted format that you must stick to. Of course, the data will change based on the kind of job post you are talking about. That is why you will find different kinds of templates, each catering to a different purpose. They have all been designed for different jobs. Once you select and download the template you like, you can start working on the information. If you are satisfied with it, you can print it. 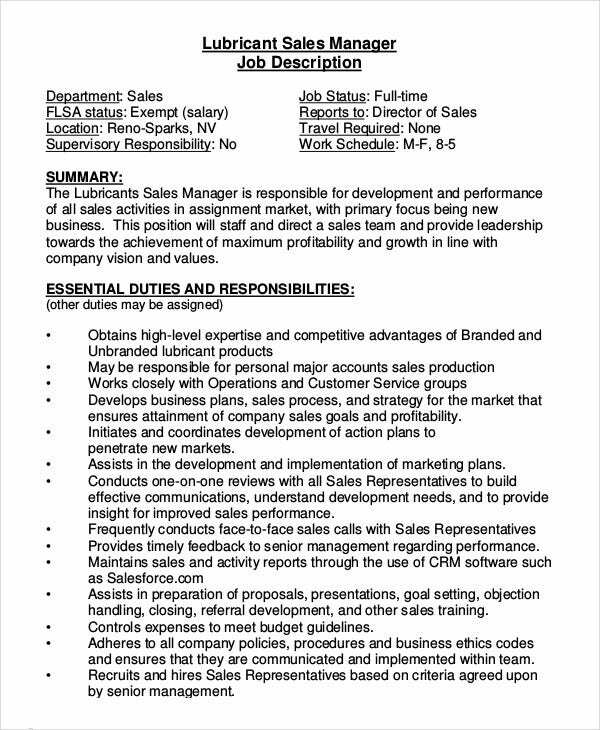 You can also see Sales Associate Job Description Templates. The sales team of any company is always one of its most important branches. Each team consists of a number of people who work together to sell a product. Now if there is a vacancy, it could hamper the working of the whole team. 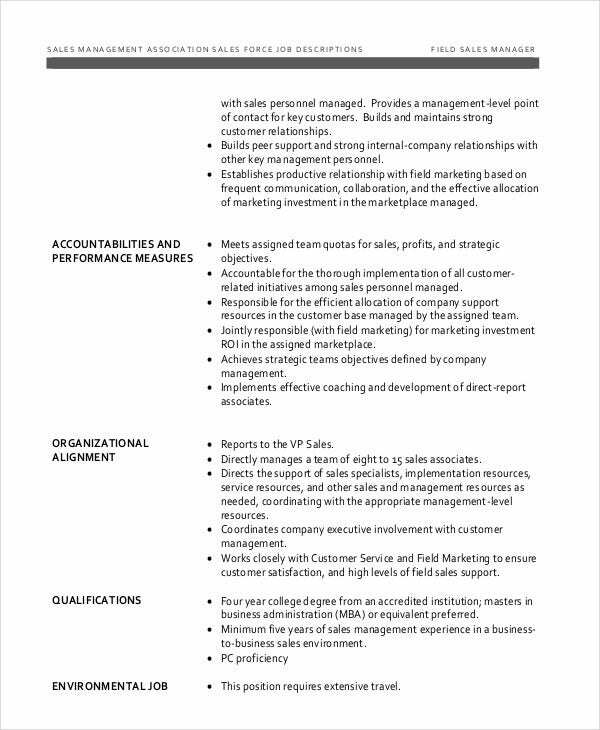 A job description, like the ones above, could help you fill up the post faster.